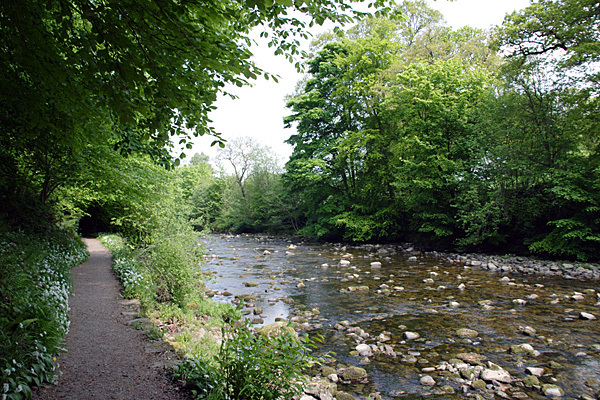 Easy walking beside the River Allen on the way from Allen Banks to Bardon Mill. 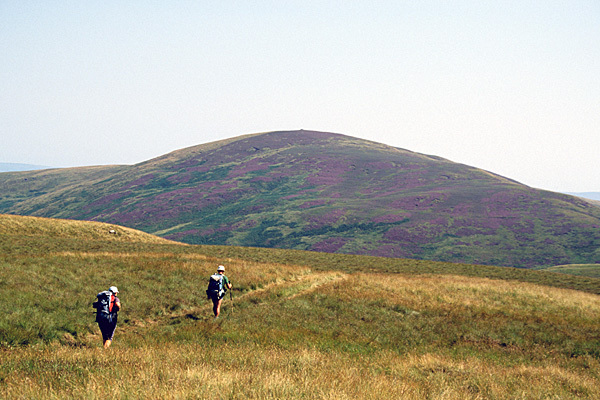 Walkers pass through the Cheviot Hills on their way to the remote farm at Uswayford. 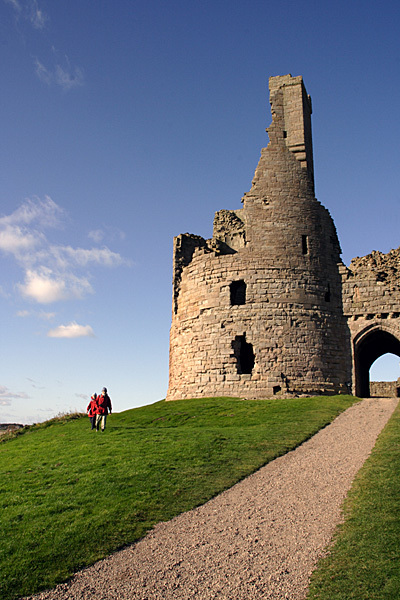 Dunstanburgh Castle is a popular visitor attraction on the Northumberland coast. The Reivers Way is a long-distance walking route almost encircling Northumberland, leading walkers to most of its most scenic walking areas. It is a celebration of the countryside once inhabited by famous saints such as Aidan and Cuthbert, along with notorious Border 'reivers', who survived centuries of warfare and strife by engaging in cattle-rustling. James Roberts wrote the original Reivers Way guidebook for Cicerone. Following his death, the book needed a complete overhaul to be re-published in full colour. The route was walked in summer and winter, and a number of alternative options were checked. The new guide shows the route highlighted on OS Landranger mapping. The Reivers Way starts in the North Pennines, samples a stretch of Hadrian's Wall, then passes in and out of the Northumberland National Park. The countryside is sparsely-settled, with extensive areas of moorland and forest. After crossing the broad and bleak Cheviot Hills, the route heads for the scenic Northumberland Coast. Walkers who follow the route in the summer months can make a diversion to the Farne Islands, where thousands of birds amass in huge breeding colonies.